Each week*, we will bring you a summary of the latest development news, including work-in-progress screenshots and in-game footage, along with a more in-depth look at featured content. A high-detail period chapel, featuring full interior. 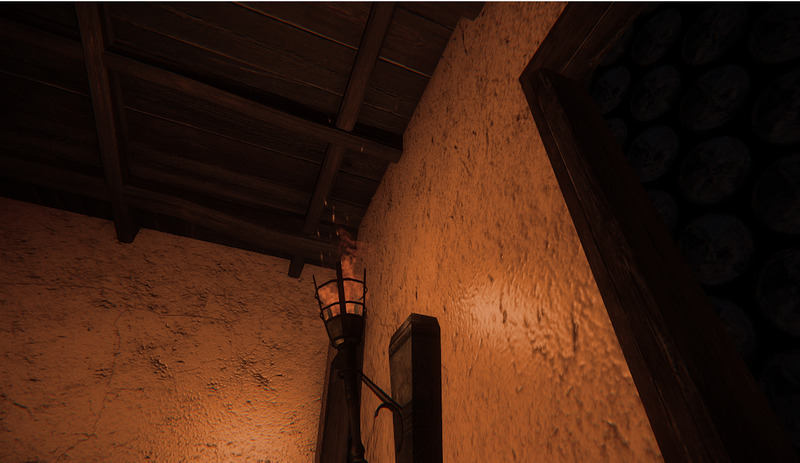 The interior itself isn't complete, but the building is otherwise perfect for many in-game towns. Continuing his latest trend, SuperDurnius has produced another great piece of concept art, this time on the subject of sabres. 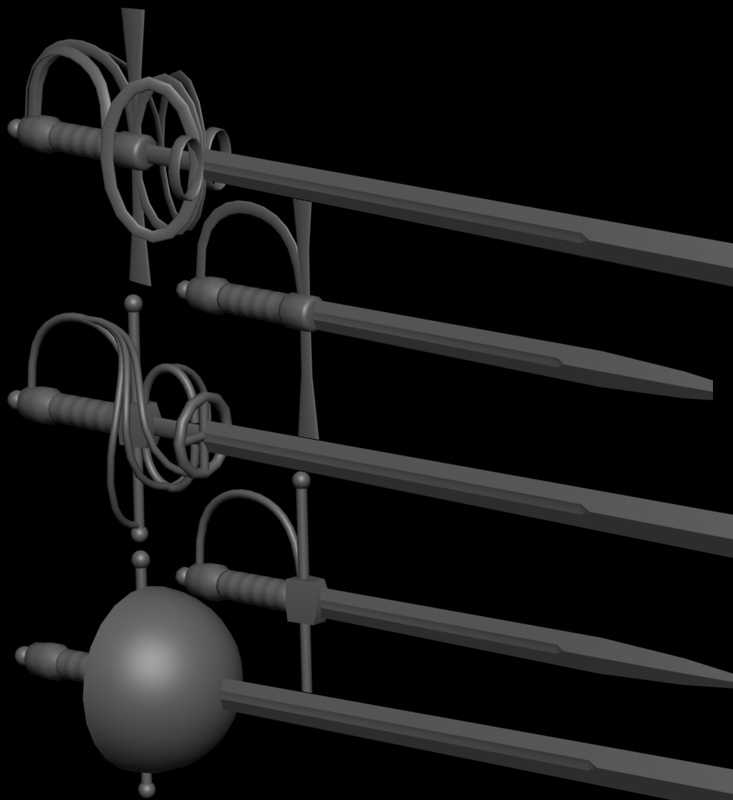 Here's another work-in-progress shot of some rapiers with different hand guards. You'll also notice some daggers, which borrow parts from the rapier models. More props with which to decorate the game world, both made to a high quality. This is a selection of containers of different types. From left to right: a wood-reinforced box, an iron-reinforced box, and a flush box. 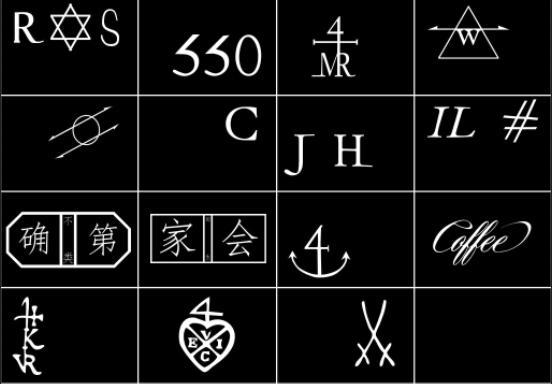 Below is a group of logos, or Merchant's marks, that will be randomly applied to these boxes in the game. Here we'll show how the game world is coming together, with content demonstrating lighting effects, time-of-day transitions and environmental design. 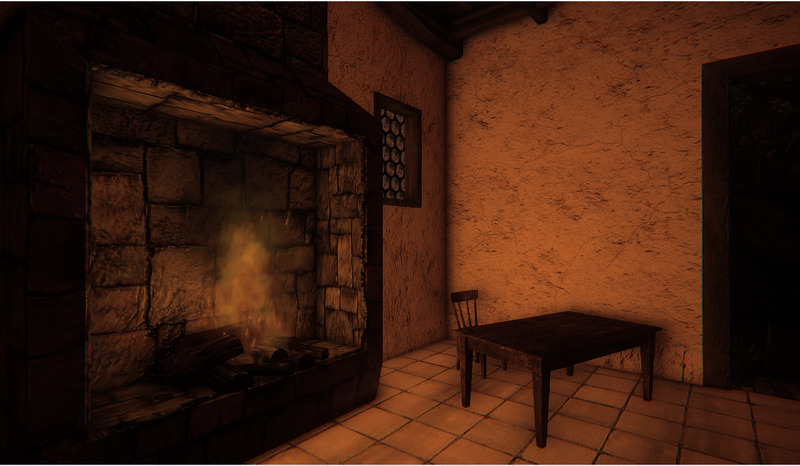 This tavern, built by SinKing, is being brought to life by RobinPC who is applying realistic lighting effects in the engine. 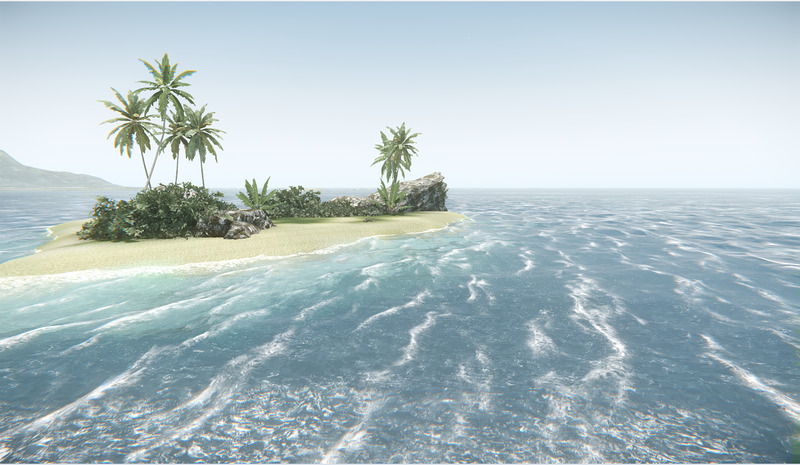 This is one of the latest attempts to create a realistic Caribbean environment, from the lighting effects to the colour of the sea. To give you a taste of what's to come, we're regularly showcasing an original track, produced by one of our talented composers. This time, we're taking a look at a piece many of you have probably heard already: "Hearts of Oak", a theme song composed for the game by Flannery. As always, you can listen to the piece via the link below, and read some comments from the composer about how he came up with the track. 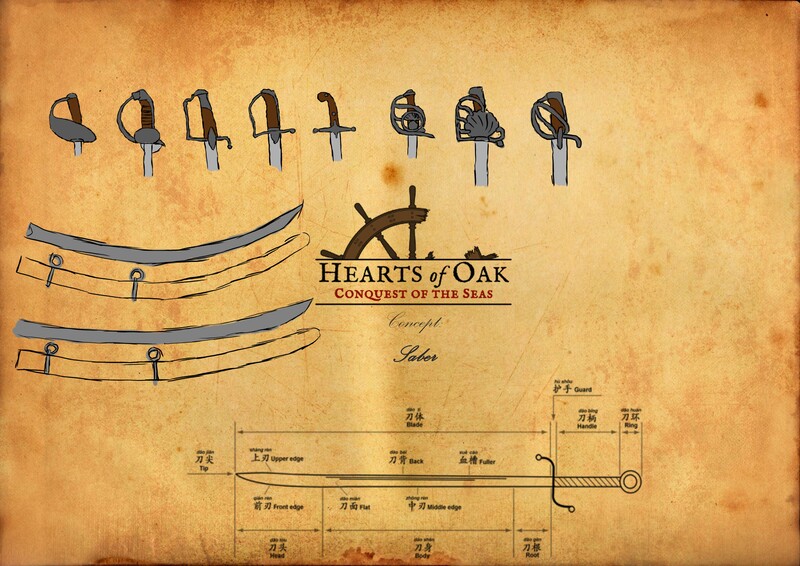 Flannery wrote: This was actually the first piece I made for Hearts of Oak, and the sketch for it was initially a test to show my worth to come on board the HoO team. To brake the piece down as simple as possible: I wanted the piece to depict different notions about being at sea - different weather, different daily chores on and below the deck, the thrill of the chase, and of course the battle. The initial melody is the scout, watching the horizon for easy prey and dangers. Then the strings come in depicting the heartbeat and the adrenaline rising. Then we have the cello which introduces the main underlying melody, which is copied by other instruments through out the whole piece. This is meant to be the rolling of the waves. The initial dramatic drums depict the sailors getting the ship ready for battle or the chase. The other themes and melodies throughout the piece depict everything from boarding a surrendered ship, sailing through storms, washing the decks, dividing loot, taking prisoners and so on. Also a funny fact - one if my ideas was to really forward the feeling of rolling waves, hence why the theme has this underlying melody that keeps going up and down throughout most of the piece. But also, when you look at all the notesheets for it all, almost every instrument creates a wavelike notion with the notes, so the notesheet itself looks like a sea of waves. This music is the property of D'laymusic - Norway, and Christian "Flannery" Tornholm-Lehn. It is protected under copyright law, which if violated might lead to legal persecutions. Stay tuned for more original music soon! We still have a few high-priority vacancies that need to be filled to help us make further progress on the game. *Please note that while we're aiming to post a new article each week, we can't always manage this, but we will post articles as regularly as we can! Still working out other core systems at the moment, though we might have something to show for a quest system soon. As usual, Flannery's write-up on the music is really very interesting and illuminating! Always makes me like his work even more.